MTN and Vodacom have tied for first place in terms of mobile broadband coverage in South Africa, a comprehensive set of data points analysed by OpenSignal has shown. 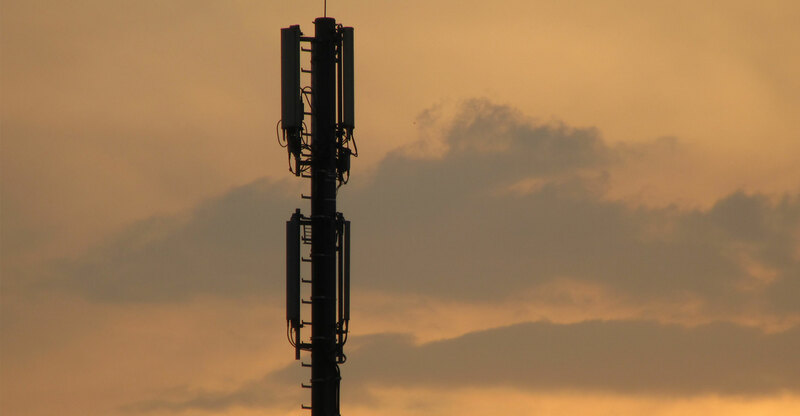 The report by the company, which specialises in wireless coverage mapping through crowd-sourced data, analysed more than 289m data points from more than 20 000 devices across the Vodacom, MTN, Cell C and Telkom networks. “What we found was a clear divide in our metrics between the two market leaders Vodacom and MTN and their two smaller rivals,” OpenSignal said. Vodacom led or tied in all metrics. MTN and Vodacom are in a close race for 4G dominance in South Africa. The overall speeds measured on MTN and Vodacom were nearly twice as fast as the overall speeds on Cell C and Telkom. In the 4G category, average download speeds for Cell C and Telkom were 13.8Mbit/s and 11.6Mbit/s respectively, scores that fell short of the global LTE average of 16.2Mbit/s. MTN and Vodacom were essentially tied for first place in the LTE download rankings, providing average 4G connections of 22.6Mbit/s and 22.1Mbit/s respectively. Although Vodacom and MTN have been most aggressive in rolling out 4G, South Africa overall ranked in the bottom third of 75 countries OpenSignal examined in a recent report. “Mobile consumers in South Africa have four main operators to choose from, but two have broken away from the pack, providing the most consistent consumer mobile data experience in our metrics,” the company said. The data was collected between May and July using OpenSignal and its partners’ apps. It collated customer experience data on both 3G and 4G networks. Vodacom’s “aggressive technological approach” may be the reason it won at least a share of all six of OpenSignal’s awards in the report, it said. However, all four networks provided a “solid” 3G experience. All four operators tested exceeded the global 3G download speed average of 4.4Mbit/s. Even in this area, however, Cell C and Telkom lagged MTN and Vodacom. OpenSignal’s measurements showed a download speed range of 4.2Mbit/s to 4.7Mbit/s on the former pair’s 3G networks compared to a range of 5.6Mbit/s to 6.5Mbit/s on the latter two’s infrastructure. Network latency, which is a measure of a network’s reaction speed, was also similar across the operators, at least on 4G. OpenSignal data showed lag times of 41ms or less for each. Vodacom again stood out, however, with the lowest network latency average of 32.8ms. Vodacom also showed both the fastest 3G download speeds and lowest 3G latency. OpenSignal users on Vodacom experienced nearly three times less 3G latency compared to those on Cell C.
Both Vodacom and MTN were statistically tied for the lead in OpenSignal’s 4G availability metric. This measures the proportion of time our users were able to connect to a particular network. Results for Cell C and Telkom were measurably behind the market leaders. Users could find a 4G signal 66.3% on Cell C and 61.9% of the time on Telkom. 4G availability has a big impact on our overall speed metric, which factors in not only 3G and 4G speeds but the proportion of time users connect to each network. The more often consumers have access to faster LTE connections, the faster their everyday mobile data experience will be. In the case of Vodacom and MTN, their high 4G availability scores and fast 3G and 4G speed tests compounded to produce overall speed metrics of 12.2Mbit/s and 11.3Mbit/s respectively. Meanwhile, neither Cell C nor Telkom had overall speed scores faster than 7Mbit/s. In OpenSignal’s recent State of LTE report, which covered the January to March 2017 period, South Africa had an overall availability score of 62.7%, which ranked it among the bottom third of the 75 countries examined. Nice nice… we’ll see results for 2nd half of the year. It’s good there’s improvements even though they seem slowly because of spectrum availability but the networks are trying hard. Since I do use Cell C I must agree that their LTE speeds are not as fast at least from what I saw on MTN but hey the customer care keeps me loyal through thick and thin. The next 2yrs will be a nice year for SA i wish the improvements were faster than that because I love Cell C and Telkom…oh well. Obviously the most expensive networks will have the higher speeds and better coverage. I find it funny that Vodacom is tie with MTN. I use Vodacom and my lady MTN. Yet when we load facebook, her s5 on MTN loads faster? Same with most sites. Tried at Melrose arch, wesbank on the N1, home in fairlands. Vodacom is a congested hole.